St. Francis’ P.S Aghaderg and Ballydown P.S are in rural settings outside Banbridge in Co. Down and have been working together as a CASE Shared Education partnership since January 2017. 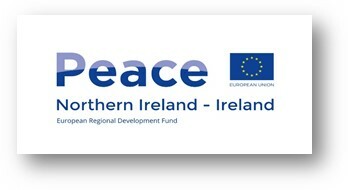 A showcase event took place on Friday 15th March in the offices of the Northern Ireland Executive. The event was part of the annual St. Patrick’s Day celebration co-ordinated by the NI Executive and included an ‘Ulster Fry’ style breakfast for up to 100 EU dignitaries including Ambassadors, Commission staff (REGI), MEP’s and other Commission officials. This event raised awareness of the impact that EU funding and the CASE Shared Education Project were delighted to be represented. For the past two years three school, St Joseph's N.S. Rathmullen, Ayr Hill N.S. Ramelton and Ballougry P.S. Derry/Londonderry have been involved as a partnership in the CASE Shared Education Programme. Ballylifford Primary School CASE Peace IV Shared Education programme with neighbouring school Coagh PS concluded this year with a visit to the Titanic exhibition in Belfast.